The 27 member states of the European Union were recently asked to provide a work of art for "Capolavori dell’ Arte Europea" ("Masterpieces of European Art"), an exhibition in Rome celebrating the 1957 signing of the Treaty of Rome, the EU’s founding document. 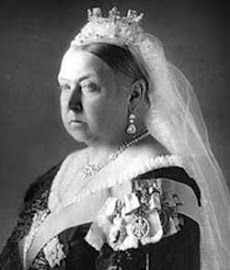 The Times reports that when Italian president Giorgio Napolitano paid a state visit to London last autumn, Queen Elizabeth told him that she would be sending a painting by JMW Turner to the exhibition. Tate Britain then chose The Arrival of Louis-Philippe at Portsmouth, 8 October 1844, a swirl of smoke and gold that for years was thought to depict Venice but four years ago was found to show the arrival of the French “citizen king” in England at the start of a visit to Queen Victoria – a happy moment of Anglo-French entente. 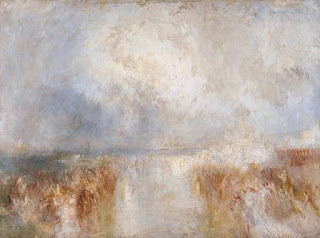 Turner had known Louis-Philippe years earlier, when the exiled French court was living in Twickenham as refugees from revolutionary Paris. "Masterpieces of European Art" is at the Quirinale Palace in Rome through May 20. Shown here: The Arrival of Louis-Philippe at Portsmouth, 8 October 1844, Tate Britain.